Landlords concerned about whether or not their rental properties qualify as “healthy homes” can now look to new high-tech monitoring tool for help. Healthy homes are a hot topic in the rental property sector as the Government’s introduction of minimum standards for rental properties draws closer. The standards will set minimum requirements for heating, insulation, ventilation, moisture and drainage, and draught stopping in residential rental properties. While the cause, extent and best way of dealing with the problem of cold, damp, and mouldy homes continue to be debated, the standards are expected to be in place by 1 July 2019. The compliance date is still uncertain, but there are expectations that landlords will be working to get their rentals up to scratch. When compliance does become compulsory, landlords of rentals which do not comply will face a fine of up to $4000 from the Tenancy Tribunal. That means landlords will need to be ready – and a new environment monitoring tool for houses could help. Tether AirQ is a low-cost, high-tech, turn-key environmental monitoring system that offers a dashboard view of multiple properties on one platform and aims to enable healthy, energy efficient homes. The system measures how warm and dry a property is and monitors a range of health threats like mildew, mould and rot. Tether CEO Brandon van Blerk says it allows a landlord to detect if there is rotting garbage in a house, overcrowding, or if residents are cooking methamphetamine on site. “But the real power of the system is that it informs landlords and residents when a house is unhealthy because it has detected VOCs, mildew, mould, cold temperatures, damp and other risks. Van Blerk says they have had a lot of interest from insurers, including industry giant IAG, as they consider prevention is always better than cure. When it comes to the Healthy Homes minimum standards, you can’t enforce them if you can't measure them but this system is a diagnostic device so it means you can, he says. 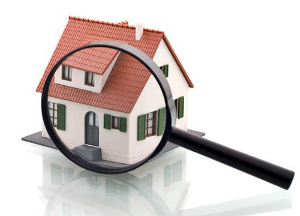 In contrast, Tether’s assessment is continuous and not at a single point in time as a manual inspection would be – and that means landlords can ensure their rentals are habitable, Van Blerk adds. Except that, right now, they refuse to quote any pricing at the user level. I have asked - and that is the reply I got. Hi Peter, as mentioned in our correspondence currently we do not sell direct to consumers but we plan to do so in Q2 of 2019. We will ensure that you are contacted with all the necessary information once the detail in finalized. It’s no small task releasing a product direct to the consumer market and we would like to ensure that our product exceeds expectations once we take this step. I hope you and your family have a fantastic festive season. Best regards, The Tether team.